NEW SERIES FOR 2010! 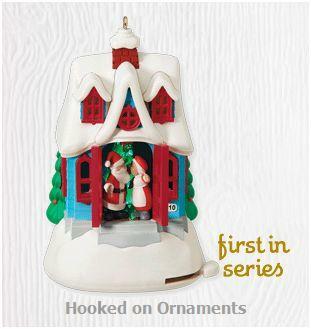 Each ornament in this new series features Santa in a different location in the merry town of Kringleville. 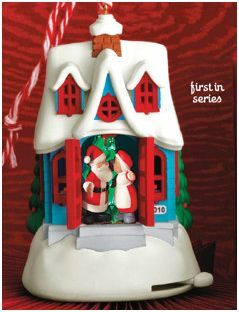 This 2010 Hallmark Keepsake ornament finds Santa and Mrs. Claus at home in the Kissmas Cottage. Move the lever to see them kiss.